Oklahoma State Cowboys There are 84 products. Your die-hard Oklahoma State Cowboys dedication cannot be beat! 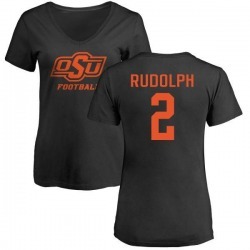 Let everyone know your pride is #1 by sporting Women's Mason Rudolph Oklahoma State Cowboys One Color T-Shirt - Black for game day. Sporting this truly unique look to the next game will definitely mark you has a huge fan! Your die-hard Oklahoma State Cowboys dedication cannot be beat! 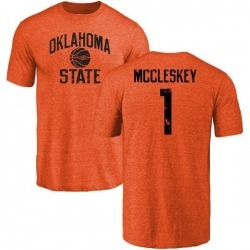 Let everyone know your pride is #1 by sporting Women's Jalen McCleskey Oklahoma State Cowboys Basketball Tri-Blend T-Shirt - Orange for game day. Sporting this truly unique look to the next game will definitely mark you has a huge fan! Your die-hard Oklahoma State Cowboys dedication cannot be beat! 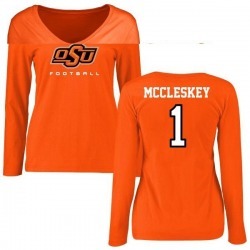 Let everyone know your pride is #1 by sporting Women's Jalen McCleskey Oklahoma State Cowboys Football Long Sleeve T-Shirt - Orange for game day. Sporting this truly unique look to the next game will definitely mark you has a huge fan! Your die-hard Oklahoma State Cowboys dedication cannot be beat! 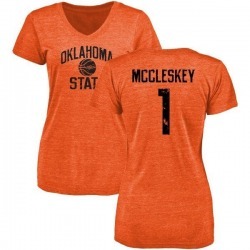 Let everyone know your pride is #1 by sporting Women's Jalen McCleskey Oklahoma State Cowboys Football T-Shirt - Orange for game day. Sporting this truly unique look to the next game will definitely mark you has a huge fan! Your die-hard Oklahoma State Cowboys dedication cannot be beat! Let everyone know your pride is #1 by sporting Women's Mason Rudolph Oklahoma State Cowboys Football T-Shirt - Orange for game day. Sporting this truly unique look to the next game will definitely mark you has a huge fan! 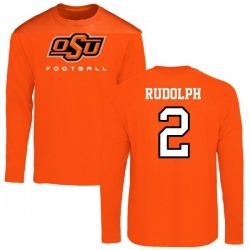 Show them all you are the #1 Oklahoma State Cowboys fan with this Men's Mason Rudolph Oklahoma State Cowboys Football Long Sleeve T-Shirt - Orange! 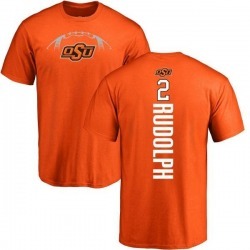 Make sure everyone knows you're the greatest Oklahoma State Cowboys fan around! 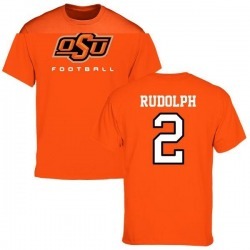 This Youth Mason Rudolph Oklahoma State Cowboys Football Backer T-Shirt - Orange is just the Oklahoma State Cowboys item to do it. 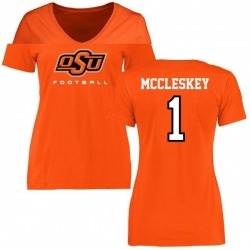 Make sure everyone knows you're the greatest Oklahoma State Cowboys fan around! This Youth Mason Rudolph Oklahoma State Cowboys Distressed Football Tri-Blend T-Shirt - Orange is just the Oklahoma State Cowboys item to do it.